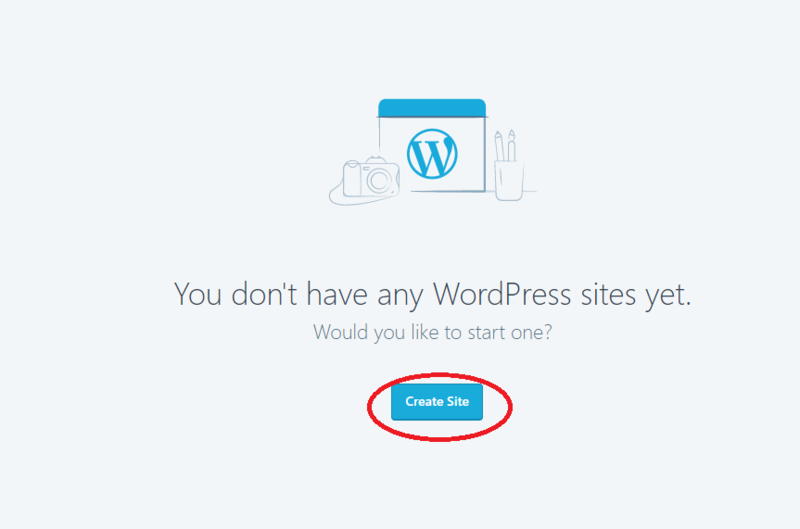 Once you create a new account on WordPress.com, you will need to create a new site or blog. To begin, click Create Site. 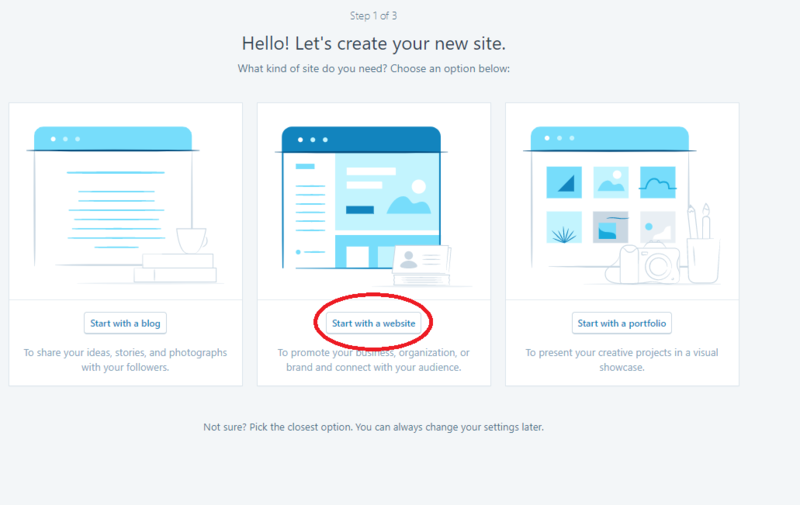 Click Start with a website. 3. 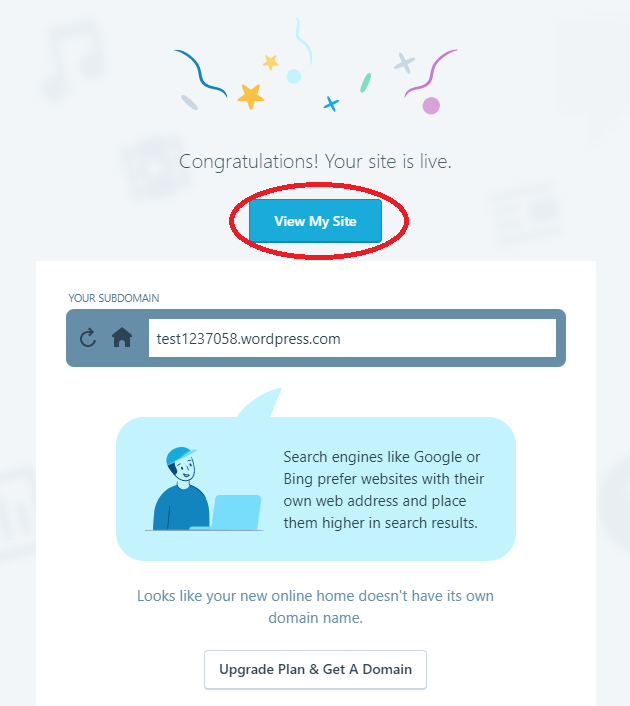 WordPress.com gives you the option of hosting the site or blog for free if you use a domain name that ends with wordpress.com (for example, your-site-name.wordpress.com). 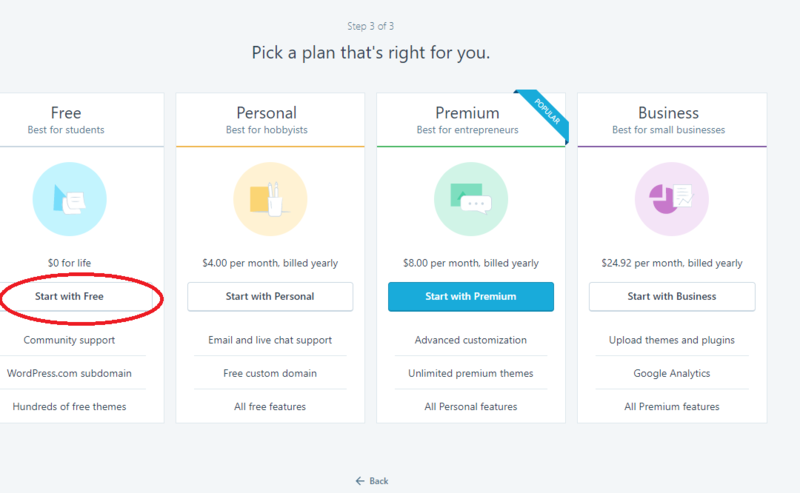 If you choose a domain name that ends in something other than wordpress.com, there will be a yearly fee. 4. If you are choosing the free option, click Start with Free under Free Best for students. 5. When notified that your site is live, click View My Site.